Eventually, every individual is obliged to join an insurance company to cover yourself for the costs of for example damage or injury. Problems of such insurances are, amongst others, the high premiums, even though you might not even need insurance that year and bureaucracy. Wouldn’t it be great if you were able to set the price, rules, premiums and claims yourself together with a group of people? Teambrella is a platform that is designed for peer-to-peer insurance service and backed with Bitcoin. Users have exclusive control over all the aspects of insurance to make it fair and transparent and to cope with the inefficiency of current insurance services (Kastelein, 2016). Users are able to form or join teams of different sizes online to cover each other and in which each peer is both a provider and consumer. The teammates decide how risky each person is and pay according to that. The framework includes a decision-making layer, which consists of a server for communication and voting, and a payment layer, which is based on Bitcoin technology. The voting process exists to make sure all users have mutual control over the insurance, including new members, risk evaluation, rules and processing of payments. It is also possible to appoint proxies to vote on your behalf, but you have the casting vote. When you pay more for other teammates’ claims, your vote weight grows. Bitcoin is used as a mean of providing coverage and payment of reimbursements in order to ease the burden of payments. Each premium payment is a partly reimbursement of a claim and these payments are enforced by distributed wallets that prevent spending that is not sanctioned by the other peers. After voting, the servers automatically prepare a set of transactions from these distributed wallets of the providers to the submitted claim of the user (Kastelein, 2016). The utility for the consumers is the fact that it is easy to use and access is available anyplace and anytime. It is free to sign up and consumers have full control over getting certain claims funded. Besides that the investments are very low. Consumers are able to get insurance at low costs and keep all the invested money when no claims are submitted. Additionally, the providers are able to vote which claim to back, so they perceive all the incurred costs as fair and they only pay for trusted members. In this way, users will be willing to switch to Teambrella, because it maximizes the joint profitability. Teambrella is feasible and takes care of several institutional arrangements. The platform is fair, because it enforces the Golden Rule of ‘treat others the way you want to be treated’ and it aligns every teammate’s interest. Besides that, the platform is transparent. You see where the money goes and every decision in the team is made by discussion and voting, so every user has control. Furthermore, the platform is affordable, because no middlemen are present (teambrella.com, 2017). Also, the platform takes care of several concerns about security, privacy, fraud, failure, hacks, scams and bitcoin volatility. Finally, the founders calculated several coefficients and ratio’s, which make the platform solid (Paperno et al., 2016). Also the institutional environment is taken care of. No contracts, obligations or policies are present. Teambrella is no business of insurance, so does not need a license. Furthermore, Teambrella resolves conflicts through its own tool; the alignment of interests and standards of treatment. Teambrella makes non-transparent insurance companies unnecessary and opens up a completely new field of trustworthy and demanded peer-to-peer markets. Kastelein, R. (2016) ‘Teambrella – A Peer to Peer Insurance System Using Bitcoin. Retrieved from: http://www.the-blockchain.com/2016/05/09/white-paper-teambrella-peer%C2%AD-to%C2%AD-peer-insurance-system-using-bitcoin/, 10th of March 2017. Paperno, A., Kravchuk, V., Porubaev, E. (2016), WhitePaper: Teambrella: A Peer-to-Peer Insurance System. https://teambrella.com, 8th of March 2017. Hey neighbour, can I rent your drone? Drones are becoming increasingly popular, cities are filmed from above with drones, drones can send packages and drones are even used in the army (drones.nl, 2017). More and more companies and individuals are interested in using drones, but what to do when you do not own a drone or in contrary, when you have a drone, but you do not use it that often? The sharing economy is already present in various aspects of society and this is exactly where the new peer-to-peer drone rental marketplace Up Sonder responds to. Just like renting a room through AirBnB, it is now possible to rent a drone. Up Sonder is a free platform and takes only a 5% provider service fee as revenue and on top of that, a small portion of the revenue is donated to help deliver access to clean drinking water to Africa (zdnet.com, 2017). Everyone who owns a drone can create a free profile and list their drone at their own price to become a provider and certified FAA remote drone pilots can also list themselves by adding their service. On the other hand, companies and individuals are able to filter and rent different kinds of drones and/or services in their direct area. The platform is easy to use and providers can manage and accept bookings from within the platform. Also, they are able to access payments, scheduling, inventory management, customer messaging and sales through the online portal. The renters on the other hand can schedule and make their payments quickly. Up Sonder collaborates with UberRUSH that picks up and drops of the drones when the rent is scheduled (upsonder.com, 2017). The utility for the consumers of the platform, the renters, is the fact that the platform is simple and fast and can be used anywhere at anytime. It is free to sign up and create a profile. Renters will switch to Up Sonder, because they do not have to buy a drone themselves, so they save money, and providers will switch to Up Sonder, because they can still make money of (unused) drones at their own price in an easy way. Besides that, the renters and providers become part of a larger community, which is fun and in which they do not have to exchange the money and drone themselves. It saves them money and time and maximizes the joint profitability. On the other hand Up Sonder is feasible, because the platform takes care of several institutional arrangements. Firstly, to make the platform more reliable, etiquettes are present. The renters and providers can see photos of each other on their profiles and afterwards, both parties are able to write a review. At the same time, providers are protected by the platform from damage with insurance up to 2,500 dollars and renters are offered a refund policy with three different cancellation policies. Additionally, Up Sonder has a non-discrimination policy to make sure that people from all backgrounds are treated equally. The platform takes also care of the institutional environment. When providers earn more than 600 dollars in a tax year they have to fill in a tax form and payments are made by means of established methods. Up Sonder meets several efficiency criteria and is rapidly growing. Having a drone and using its services is made available for everyone! For my third blogpost, because of my personal ties, I decided to research interesting Hungarian startups. In the past years, many interesting startups appeared in Budapest such as Presi or Tresorit, that inspired new founders and investors and boosted the whole startup scene in Hungary. The business I choose to present emerged from this creative boom and belongs to one of the most innovative and promising Hungarian companies. The future of reviewing: Videos! ….You can only imagine the influence reviews have on product sales and what a valuable asset they are to businesses! Especially for experience goods, the generation of reviews ensures quality and provides social control. Throughout the past weeks, the elective on ‘customer-centric digital commerce’ has shed light on the underlying motivations of users to post reviews, the possibilities to structure them and how (not) to respond to them. We have realized that format and style can have significant effects on consumers’ perceptions and buying behavior. Brigade: Redefining Politics, Civic Engagement and Democracy? So imagine you are working on co-creating a physical product with people from all over the world. Now, you want to explain to your co-creators how you would like to adjust some attributes of the product. But since their not physically near you, explaining exactly what you mean would be considered hard by most. What if there was some way to see a model of your product right in front of you, your co-creators had the same model in front of them and you would all be able to work on it real-time? Instructables.com! How to do it yourself!? One of the leading sites in these ‘how-to’ videos & instructions is Instructables.com. Instructables.com is a website which was originally an inside project from some PhD students from the MIT media labs. When they weren’t solving complex technological problems like solar panels for highways, they were teaching each other things as 3d modelling, cooking and other stuff through videos and instructions that they posted on this platform. In 2006 they decided to open up the platform to the rest of the world. The website now is a platform for over hundred thousand how-to instructions, videos and ideas. That these ideas are very varied is already noticeable in the first moment you enter the website. There is a bike challenge available in which people can post their idea about bikes. These ideas vary from homemade bicycle stand to homemade tandems. The great part of this platform is that it is not only a platform for simple guides like sharing a salad recipe or showing how to sheer a sheep, but it is only a place where creative people meet each other, share ideas and create. Behind the website is a small team and a huge community of enthusiast people who are constantly sharing their most creative ideas. They can add videos, images and even files with 3d models or photoshop images. An extended review system is available on Instructables.com to rate other users and their ideas.. Besides this it is possible to join groups for people with similar interests. Instructables.com also has a membership available for teachers so they can use these videos in the classroom. The business model of Instructables.com consists of 2 different revenue-models. The first is based on advertisement. They rent out video space on the video pages to companies for advertising purposes. The other source of revenue they have is organizing contests for their community. Some of these contests are sponsored by companies. At this moment Microsoft is organizing the “Coded creation contest” on Instructables.com. Big prizes like laptops, tablets and photo cameras are waiting for the winners! Besides Instructables.com there are literally dozens of these websites that are specialized as video platform for how-to and do-it-yourself videos. Although Instructables.com is not the largest website in this category, they have an advantage with having a large community. So if you feel creative these coming months and have a video camera and some spare time, make sure to visit instructables.com! Advertising: Stimulant or Suppressant of Online Word of Mouth? Word of mouth can be defined as informal communication among consumers about products and services. It includes interpersonal conversation and consumer brand advocacy. More recently, an increase can be seen in online word of mouth, otherwise known as word of mouse. Examples of word of mouse are discussion forums, boycott Websites and news groups. Consumer involvement relates to the argument by Dichter (1966) which argues that consumers’ desire to speak to other consumers about products can be understood in terms of different types of involvement. In particular, four types of involvement are product, self, other and message. Selective consumer response relates to the suggestion that consumers can be quite heterogenous in their preference for different sources in their search for information before making purchases. Research by Klein and Ford (2003) has found that people who prefer traditional sources of information (e.g., advertising or visiting dealers) are less likely to be experienced with using the Internet and online sources. Therefore, following the implications of this research, increased advertising is more likely to attract buyers who are less likely to visit or provide online word of mouth. The saturation effect refers to the decreasing response of sales to increased advertising. If the saturations effects do occur and sales do not increase as advertising spending increases, consumer word of mouth is also unlikely to increase as advertising spending crosses the saturation levels. Product involvement refers to the consumers’ feelings regarding, and relationship with, the product. Self involvement refers to the consumer’s use of product-related conversations to satisfy emotional needs (e.g., demonstrating superiority). Other involvement refers to the consumer’s desire to give something to others (e.g., recommending or warning for products). Message involvement refers to word of mouth stimulated due to the consumer’s engagement by advertisements or public relations activities of the product’s manufacturer. Dichter (1966) suggests that factors that affect any of the four types of consumer involvement are likely to affect their desire to speak about products to others. Dichter implicitly assumed that marketing actions that increase any of the four types of involvement eventually increase consumer word of mouth. If so, marketing actions that reduce consumer involvement should decrease word of mouth. Consumer involvement, selective consumer response and saturation effect are demand-side reasons for the negative correlation between advertising and online word of mouth. However, there are at least two supply-side reasons for the negative correlation between the two variables. Differences in spending on advertising by manufacturers. If manufacturers of brands that do not have strong sales spend more on advertising than others, the relationship between advertising and word of mouth is likely to be negative for lower-selling brands since consumers are more likely to discuss brands that they own and use. Dynamic adjustments of advertising budgets by manufacturers based on word of mouth response to advertising. If manufacturers decrease advertising spending as word of mouth increases, the relationship between advertising and word of mouth is negative. The practical implication of the result of this paper is that advertising and word of mouth may not be complementary. Companies that want to increase word of mouth may have to reduce advertising expenditure to increase online word of mouth. Reduced spending on advertising has the advantage that it makes finances available which can be used in the effort to increase online word of mouth. Dichter, E. (1966), “How Word of Mouth Advertising Works,” Harvard Business Review, 44, 147–66. Feng, J. and Papatla, P. (2011). Advertising: Stimulant or Suppressant of Online Word of Mouth? Journal of Interactive Marketing 25, 75-84. Klein, Lisa R. and Gary T. Ford (2003), “Consumer Search for Information in the Digital Age: An Empirical Study of Prepurchase Search for Automobiles,” Journal of Interactive Marketing, 17, 3, 29–49. Free WordPress makes $45mil per year, but how? With more than 74.6 million websites build on it, WordPress is the most used content management system(CMS) in the world. Of all self-hosted websites, 18.9% is build on WordPress and 70% does not work with a CMS. The guy behind this extremely successful system is Matthew Mullenweg and Mike Little. But they did not build all 30.000+ plugins, 100.000+ templates and uncountable custom widgets by themselves. Matthew and Mike co-created: they used the crowd to make their CMS an indispensable building-block in the world of internet. In this blog I will explain how WordPress is generating revenue by the use of its crowd (developers of plugins and themes). WordPress was released on the 27th of may, 2003. Back in the days, the internet was still a relatively new environment. Building a website demanded advanced skills in code-languages such as HTML and PHP, in working with hosting accounts and for a fancy webdesign with Adobe Photoshop. You can imagine that relatively a few early-adopters auto-didactically obtained these skills: NERDS. Matthew and Mike wanted to change this status quo. Their initial idea of WordPress was to lower the enormous threshold for normal (non-tech) people to build their own blog. Obviously, they succeeded. But thanks to thousands of developers, WordPress supports countless website-types next to blogs: regular business websites, webshops (WP E-Commerce), social media platforms (BuddyPress) and more. WordPress offers space on the internet on their own servers. In addition, WordPress provides professional service for large multinationals. Customers are among others, CNN, TED, Dowjones, UPS and Times.com. Taking a look on WordPress VIP Hosting, we see prices tarting at $15.000 dollar per month. So, one business model is based on a simple service provider. If you build a website based on WordPress, it is not necessary anymore to design your entire webdesign yourself. WordPress offers many premium templates, which are easy to install yourself. One template costs approximately $50. A wordpress blog is free, but extra space for media or a domain (.com/.nl etc) costs money. WordPress has the right to post Google Adsense advertisements on free WordPress blog. However, this is only done under certain circumstances. Next to these major 4 business models, WordPress provides various other paid services. Most of them are linked to a premium model (such as paid plugins). Interestingly, WordPress positions itself as a free open source CMS system. However, for a small percentage of the users Wordpress is charging fees. Relatively, this might solely be a small part of the users, but taking the numbers mentioned at the beginning of this blog into account, you can imagine that the absolute earnings are huge. The company behind Wordpres (Automattic) made $45 million revenue in 2012 and is growing rapidly (last publicly available data). Knowing how WordPress is born and evolved, Matthew and Mike should thank the user for building their internet-empire. Want to build your own WordPress website? (CHECK VIDEO BY Tyler Moore). 2. Install a free theme or download a premium template from e.g. Themeforest.com. 3. Check the plugin page for additional functionalities. Want to know whether a website is build on WordPress? Put the following text behind the internet address: “/wp-admin/”. If you get a login-page, you know the website is build on WordPress. Making your way to the Olympic Games as an amateur athlete requires talent, hard work, dedication and discipline. But not only! Training sessions, coach, equipment, flight tickets, hotel rooms… the life of an athlete comes with a considerable cost. While professional athletes are sponsored by various brands and potentially collect money by winning competitions, amateur athletes must rely on alternative sources of revenue to fund their sporting career. Having faced the dilemma of choosing between an athlete career and a more conventional path, two Canadian former amateur athletes founded the website Pursu.it. This non-profit crowdfunding platform is run by volunteers and designed to help amateur athletes of any country to gather funding in order to reach one specific goal in their athletic careers such as making the podium, getting to the next competitive event, or making the national team. 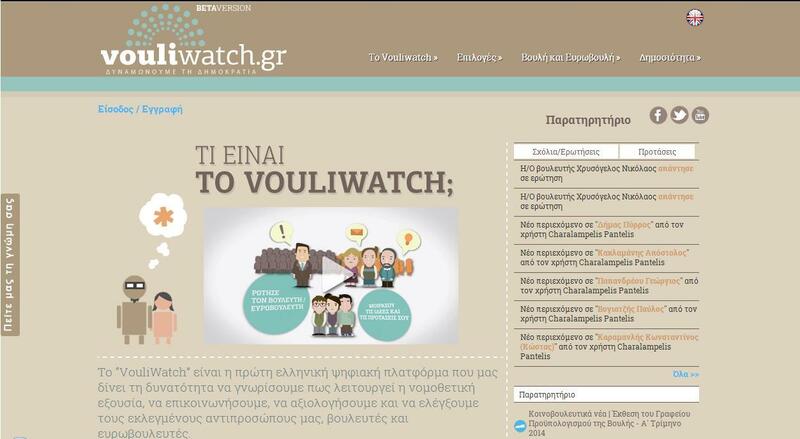 Since March 16, Vouliwatch.gr has started its operation on the web. It is the first Greek digital platform that enables the citizens not only to familiarize with the procedures of the legislative power but also it gives them the opportunity to communicate, assess and control their elected representatives. Vouliwatch.gr, is the Greek version of a similar and already successful initiative that operates in five European countries (Germany, Luxembourg, Ireland, France and Austria), the ParliamentWatch. Nowadays world becomes more and more international. 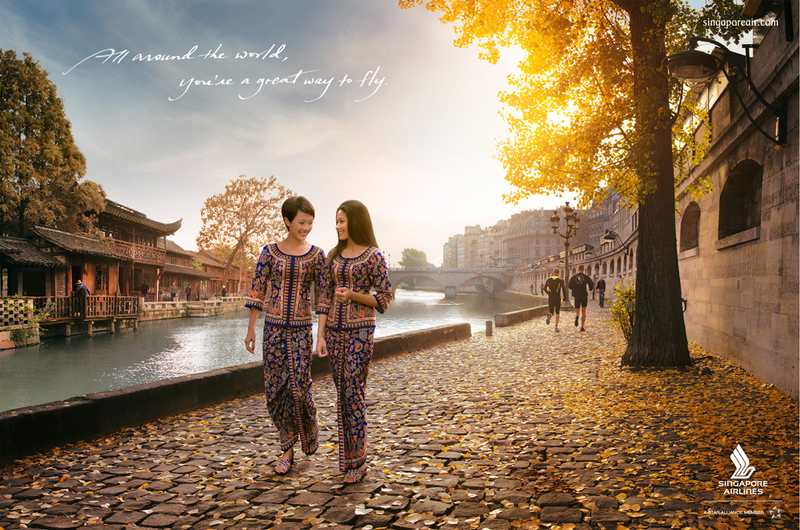 People travel more, have more international colleagues, even international families became more common. Therefore, being able to speak many languages is more important than ever. In 2006, the educational platform Italki that helps people to learn foreign languages was introduced. The educational platform solves many of the most common problems that arise during language learning. The post will analyze problems, which may occur on each step of learning language road starting from picking a language to lessons themselves, and how Italki deals with them. Firstly, a person chooses a language that she wants to learn. However, it is very hard to find teachers of languages that are not very common. As Italki works as a platform, which connects teachers and students, it has a huge pull of teachers. Therefore, it is possible to find native speakers of any language. Watch out, Generation X, Y and Z – a powerful new force in culture and commerce is emerging: Generation C. User generated “Content”, “Community”, “Creation”, “Connection” and “Curation” are its defining features. Spanning the generations its members are digital natives and exceptionally tech-adept, using the web to search for and create new content across all platforms – everywhere, everyday. Within Generation C everyone is a blogger, everyone is an artist and everyone can be a designer. This phenomenon leads to an increasing dilution of the distinction between audience and speaker, consumer and creator. Therefore the desire for personalized products and services has never been greater. Tapping into this trend companies like M&M or Nike provide their customers with the opportunity to adjust designs and colors to their individual needs and thereby create their own personalized product versions within a given framework. Meanwhile mass customization is commonplace. The need to express individuality particularly applies to high-involvement products like art or design. Many trends, such as the DIY (“Do-It-Yourself”) movement, also build on this phenomenon. DIY communities provide inspirations, guidelines and advice to create individual items, without any commercial intermediaries involved. But even if the creativity of Generation C members seems to be endless, their skills and also their time are finite. Productivity is restricted by the technical skills of the creator. The article ‘welcome to the experience economy’ by J. Pine and J. Gilmore states: “as goods and services become commoditized, the customer experiences that companies create will matter most. More and more companies are trying to discover new ways of creating customer value through creative exploration. Digital technology is a significant tool to exploit those discoveries and enhance human experience. A great example is Augmented Reality (AR) which brings people closer to real world environment. It is a cutting-edge technology and creates a special user experience because it expands customer’s capability for sensing. 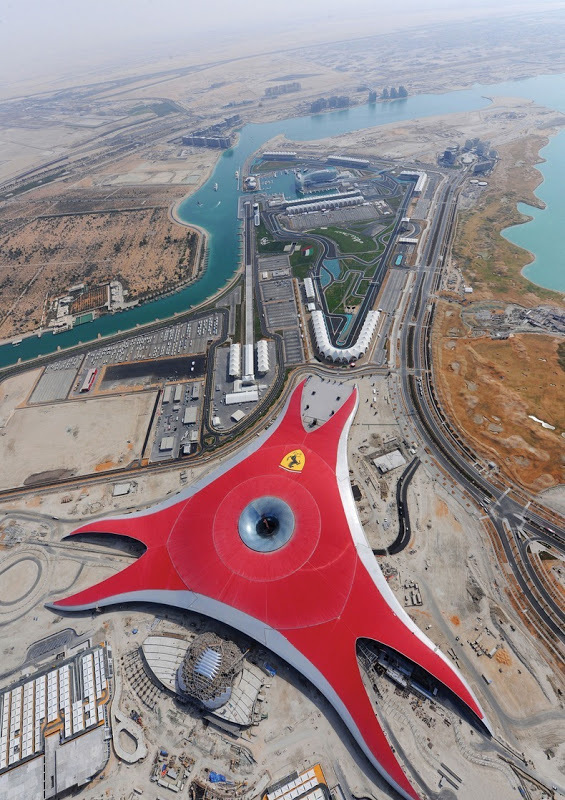 Ferrari does not have only cars and Formula One. 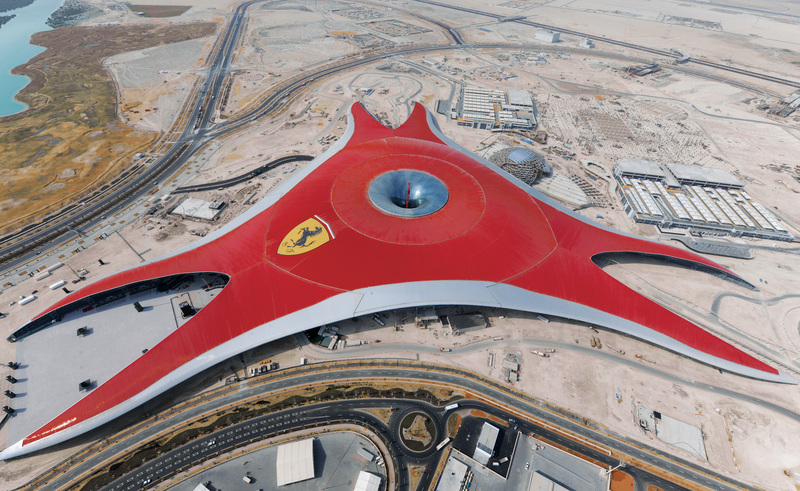 Now, it has its own theme park! What is a brand community and what characteristics its members share? A brand community is a non-geographically community that is based on a set of social relations among the admirers of a brand (Muniz and O’Guinn 2001).